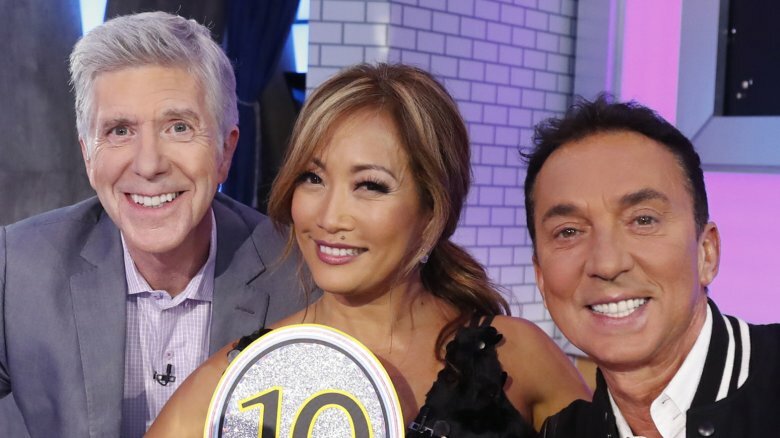 Who's ready for the 2018 season of Dancing With the Stars? 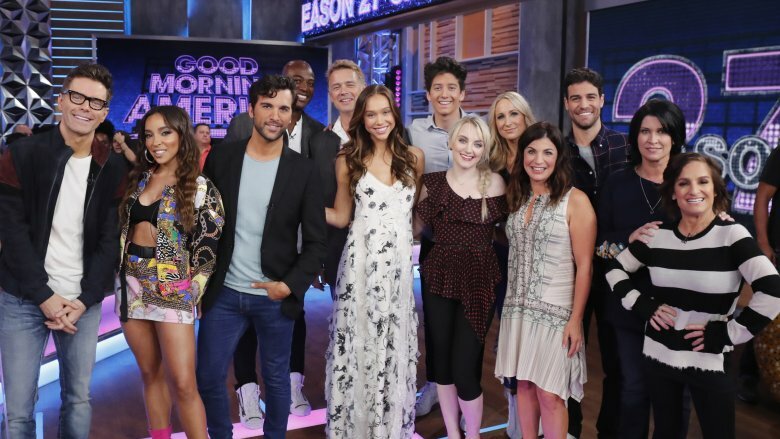 On Wednesday, Sept. 12, 2018, the new cast members of Dancing With the Stars — and their dancing partners — were announced on Good Morning America. Among the brand new contestants who will show off their moves in the popular TV dance competition are The Facts of Life actress Nancy McKeon, former NFL player DeMarcus Ware, "No Drama" singer Tinashe, The Dukes of Hazzard's John Schneider, and Evanna Lynch, who's best known for playing Luna Lovegood in the Harry Potter film series. Their fellow contestants are comedian Nikki Glaser, radio DJ Bobby Bones, Bachelor in Paradise's Joe Amabile, Fuller House star Juan Pablo Di Pace, Disney actor Milo Manheim, model Alexis Ren, Paralympian Danelle Umstead, and Olympic gymnast Mary Lou Retton. Without having even publicly hit the DWTS dance floor yet, Umstead has made history by joining the popular series as the first-ever visually impaired contestant. Recalling how she'd made it a goal to compete on the show years earlier, she told GMA, "I threw it out there in the universe and I never thought it'd come back and attach to me. It's a big challenge and I'm lucky to have [her partner Artem Chigvintsev] there with me." We can't wait to see all these entertainers and athletes shake it on TV. Who do you think will win? The 27th season of Dancing With the Stars premieres on Monday, Sept. 24 at 8 p.m. on ABC.